Three years on, Spokane County’s legal marijuana market continues to grow. The region’s 31 retail marijuana stores reported sales totaling $8.3 million in June, the largest single month of business since the county’s first pot shop opened July 8, 2014. Paired with revenues from producers and processors, the industry generated $15.3 million in revenue last month, up a little less than 1 percent over May’s figures. 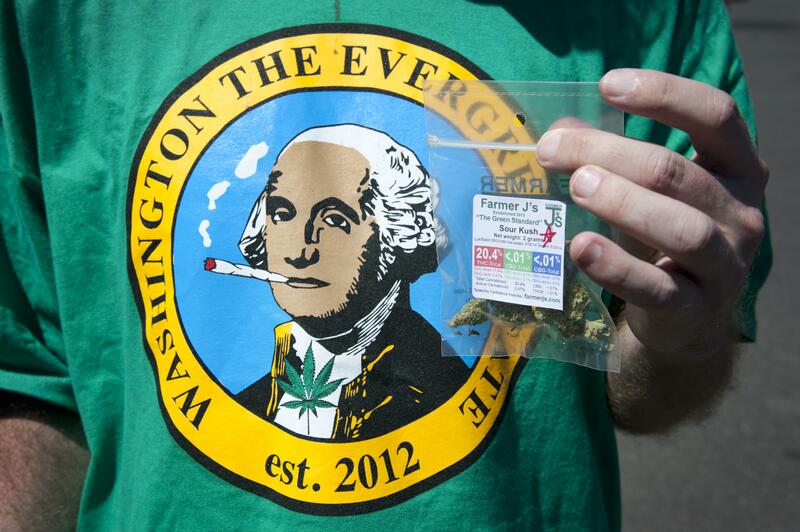 Brian Smith, a spokesman for the Washington Liquor and Cannabis Board, said the average price for a gram of marijuana in Washington state continues to tumble, reaching about $7 in June. The price was between $25 and $30 three years ago. Retailer Treehouse Club, which first opened on Trent Avenue in December 2014, paced Spokane County’s retail stores in sales for the third straight month with $586,342 in revenue reported to the Liquor and Cannabis board. Steve Burks, owner of the shop, credited the business’s emphasis on retaining bud tenders who build personal relationships with customers for the sustained strong sales. Declining prices per gram are always on Burks’ mind, particularly because it’s unclear how low the price can go in a market that was previously unregulated and is now engaged in a competition to produce the drug most efficiently. Treehouse Club offers a daily special selling eighths, or 3.5 grams of marijuana, for $28, Burks said. On its first day of sales three years ago, inaugural retailer Spokane Green Leaf sold a single gram for $25, but the shop currently sells certain strains for as low as $5 per gram. In total, 193 marijuana businesses reported sales in Spokane County in June. The county’s 97 processors reported sales of $6.2 million, with Spokane Valley’s Grow Op Farms leading businesses with a $2.2 million sales figure. Easy Growing Farms, a tier 3 producer based in Cheney, posted the largest sales number for a producer in the month of June at $151,491. Sixty-five farms reported sales in the county last month, with revenue totaling $746,434. The $8.3 million in retail sales in the county, taxed at 37 percent by the state, produced a little more than $3 million in revenue for Washington last month. Published: July 21, 2017, 5:10 p.m. Updated: July 21, 2017, 6:23 p.m.